The Japanese word for influence (eikyo) combines the characters for "shadow" and "echo." 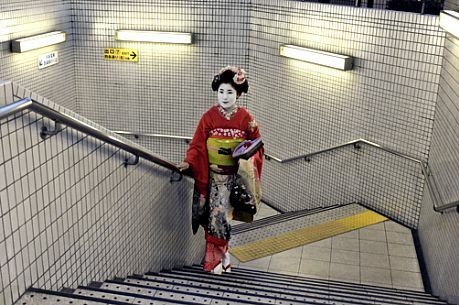 The shadows and echoes of Japanese culture have profoundly affected anthropologist and writer Liza Dalby, who will talk about her long engagement with Japan, including her work on geisha, kimono, Murasaki Shikibu, and her personal take on the seasons. Liza Dalby is an anthropologist specializing in Japanese culture. Dalby was the first Westerner to become a geisha, which she did as research for her Ph.D at Stanford University. She later wrote two books drawing on her geisha experience, Geisha and Kimono, and served as a consultant for Steven Spielberg's film adaptation of Arthur Golden's Memoirs of a Geisha. Subsequent books by Dalby include The Tale of Murasaki, East Wind Melts Ice, and Hidden Buddhas. She lives in Berkeley, California, with her husband and three children.